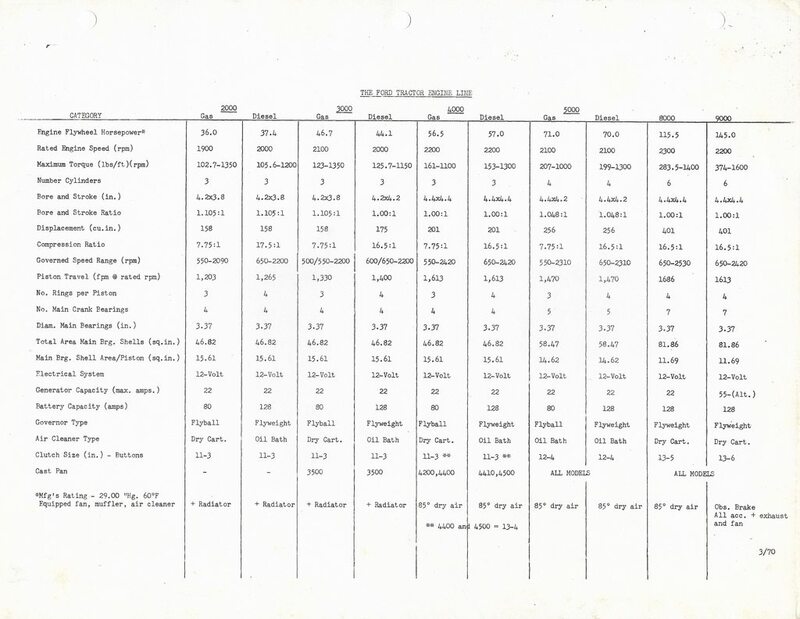 This is a scan of the data and specs sheet for most of the FORD Thousand Series Tractors built from 1962 thru 1975. It lists the 2000, 3000, 4000, 5000, 8000, and 9000 Models. This a jpg scan for now, and I'm working on a pdf version of this coming soon. If you want a copy for yourself, simply hover your mouse on it and 'save-as' it to your hard drive then print it out from there. Don't try to print from our scan as posted you won't get a complete copy.